The results of cleaning with ENJO are simply astounding: hygienic cleanliness deep into the pores in and around the home without the use of any cleaning agents. Conventional cloths clean superficially, leaving dirt and chemical residue in the crevices of surfaces, which is an ideal breeding ground for bacteria. ENJOtex fibres remove dirt and particles from all crevices. The dirt is trapped by the ENJO products until washed out of the fibre. How does the ENJO fibre work? 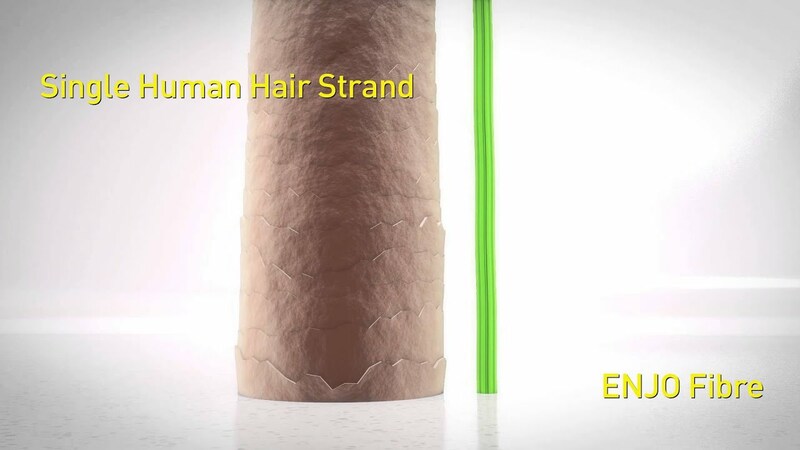 The video demonstrates how our ENJOtex fibre cleans hygienically and deep into the pores. Are you tackling floors, tiles, the cooker or the bathroom fittings? We at ENJO have developed the right products specifically for your various requirements. Your rooms and items are cleaned deep into the pores, hygienically and, above all, in a way that’s kind to the materials. For lasting cleanliness and a good Feeling. 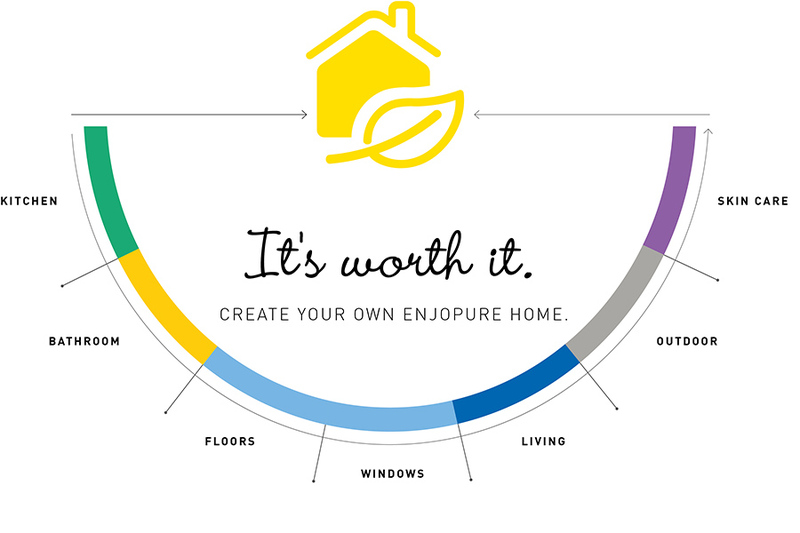 You will love your ENJO products. And they will be with you for a long time. Our products are manufactured in Vorarlberg, Austria. We offer top production quality standards and two years warranty against faulty workmanship. The patented ENJO Colour Indicator shows you when a product has lost its ability to clean. Being washed before first use (except the Lint Glove and fibres for dusting and polishing). Wet the top of the fibre. ENJO Floor Fibres should be rinsed after each use and hung up to dry. Do not allow to dry while dirty, e.g. on the Floorcleaner Plate. There is a risk of scratching on delicate materials. You should therefore check the effect of cleaning with an ENJO fibre on a hidden area as a first step. Contact with sharp or rough surfaces may well result in tears to some delicate ENJO fibres, creating small holes. This does not affect the function of the products. Do you still have questions regarding how the ENJO fibres work or how to look after them?